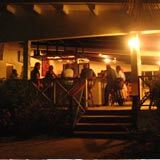 Tasty's is an Anguillian institution. 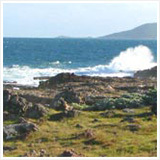 Owned and operated by talented Chef Dale Carty, the Caribbean menu is unique. Open for breakfast, lunch, dinner and tapas, everything Dale whips up in the kitchen is mouthwatering and keeps you coming back! Like Nori, before ever trying it I had been skeptical of the restaurant name, Tasty's. It seemed so simple and the word "tasty" to me didn't imply the food would be as particularly special. 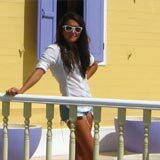 Somehow, and very luckily, I found my way through that hesitation and went for dinner for the first time many years ago when I would visit Anguilla as single traveler. Now the name Tasty's is a household name for me and my family, and not to be questioned. Since Tasty's is my favorite, and it had been a while since I devoured some of Dale's creations... I was craving some of his masterpieces. And what a bit of serendipity! Nori's mom Janice was up in New York visiting Nori and Yuki. Nori and I had been in touch, and she asked me to take her Dad, Ken, out for dinner. She was worried about his diet of crackers and cheese since Janice left for New York. 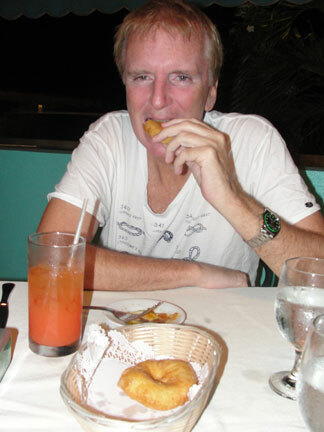 Now, if you've read any of Nori's other Anguilla restaurant experiences, you know Ken has a couple of criteria when it comes to eating out. 1) He likes dining by the sea, 2) He likes to have a cigarette at the table with his rum punch. Tasty's doesn't meet either of these criteria. But, I reminded him of just how delicious Dale's food is, and that you can in fact have a cigarette if you sit outside, on Tasty's porch. Unlike Ken, I really don't mind if a restaurant is on the sea or not. Especially at dinner since it's dark. I understand enjoying the sound of the sea, but I get my fill when I go to the beach. Besides, Tasty's is so conveniently located and it's really about the food, and only the food, if I'm making a dinner decision. Ken agreed and we met up for our tasty dinner. Tasty's atmosphere is very comfortable and pleasing. It is quaint, pretty, and unpretentious. I love how you feel as though you are in the Caribbean when you are at Tasty's. To me, this is how it should be when you are in the Caribbean. 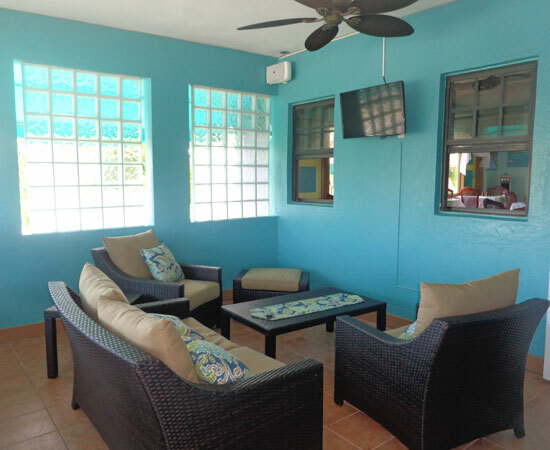 The colors, style, and cool simplicity are true to the Caribbean look and feel and that is just one of the positives about Tasty's. There is a nice hand-painted Caribbean-themed mural painted on one wall. 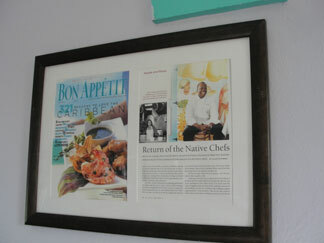 The remaining walls have framed magazine articles written over the years about the talent of the one and only, Chef Dale Carty (who I will write about fondly later in this page)! You know you are good when magazines like Bon Appetit, Gourmet, Travel & Leisure, and Conde Nast Traveller are talking about you! Tasty's has the ability to accommodate large parties but the dining room is normally set in table-tops of two's and four's and an occasional six. The menu is diverse and uses the finest fresh and local ingredients and flavors. Ken started with the Warm Goat Cheese Salad. I went with my favorite soup ever, the Black Bean Soup. Ken cleaned his plate quickly and said his salad was great. I took my time and savored every ounce of the luscious, smoothly pureed soup until it was all gone. For our meals, Ken had the Grilled Tuna Steak. It was served with a creamy lemon-caper butter sauce, some fresh sauteed vegetables and herb mashed potatoes. 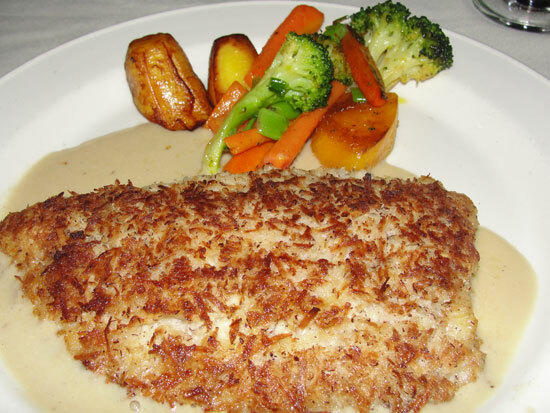 I had the Coconut Crusted Parrotfish which was cooked perfectly served with a banana rum sauce and sauteed vegetables. It also came with a separate plate of rice n' peas (Anguilla's local pigeon peas). This was heavenly and solicited some "oohs" and "ahhs". I find the pace at Tasty's to be just right most of the time. I never understand it when people want to rush through a meal. 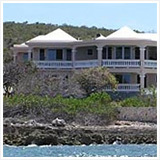 In Anguilla, it's not as though you need to be finished by a certain time to make a movie or a show like in your hometown or while visiting NYC. 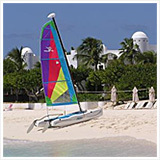 It is the Caribbean and the pace is part of what makes it so appealing, along with the people and the beaches. A nice dinner is meant to be spaced properly and enjoyed. 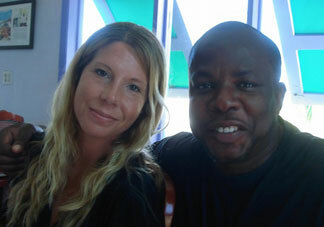 I have been to another popular restaurant in Anguilla where they make you feel as though they would like your table. The food comes out while you are still eating your appetizer and they try to take your plates almost before you are finished. To me, this is not respectful. A place that is truly about the food and not just "doing business" should make you feel as though you are welcome to linger, have conversations, just enjoy. Tasty's is respectful of the right you have to dine as you wish and never makes you feel forced to finish. I appreciate that. There are a couple of stories of Tasty's being just a little too slow. 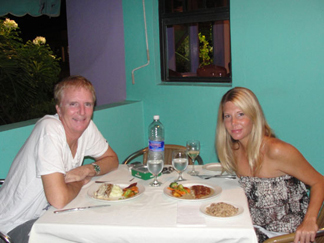 Nori's first experience (which was a long time ago) Tasty's Anguilla restaurant was like this. 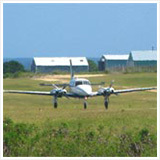 In these cases, the gracious staff will do what they can to improve your experience. In Nori's case, the kind waiter gave the family free coffee to make up for the long wait. The whole family appreciated the gesture. In keeping with respect to timing and enjoying nice dinner, Tasty's serves an amuse-bouche prior to dinner. I LOVE this. 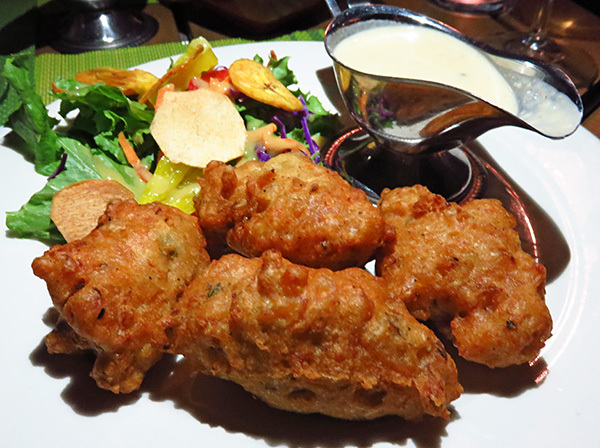 I've not been to another restaurant in Anguilla that consistently serves an amuse-bouche and Tasty's amuse-bouche is different and delicious every single time. 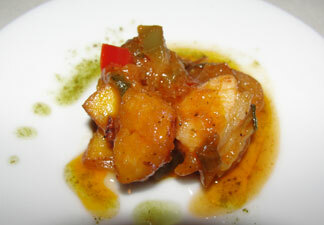 The night Ken and I had dinner, the amuse-bouche was salted pork in a creole sauce. While on the subject of scrumptious bonuses at Tasty's... Long before the amuse-bouche arrives, you will be served with a piping hot basket of homemade johnny cakes. I feel as though I've had enough johnny cakes over the years now to be a judge and in my opinion, Tasty's are some of the best I've had. That is a basket that empties quickly! Another entree that makes choosing a little difficult for me is Tasty's Shrimp. This entree is served in a coconut curry sauce with sweet potato puree. This is one of my favorites. It is so rich, yet you don't leave with that heavy feeling. The trigger fish is another winner to order, especially if you are in favor of eating fish fresh from the sea around Anguilla, which is exactly where Dale gets his fish from - local fishermen. Of course, you can't go wrong with any of the local seafood as a choice in my opinion! Dale grew up cooking these very dishes and has it down to perfection. The prices for his entrees are so reasonable, especially for Anguilla's standards. The entrees range from $18 to $38 US with the high-end being the lobster and crayfish tails. The appetizers, salads, and soups are all under $20 US. Other dinner menu items from the appetizers, salads, and soups portion of the menu include: gazpacho, fish soup, pumpkin soup (see the local flavors making their way in), lobster and corn bisque, and my favorite ever, the black bean soup. Tasty's salads are all very nicely put together and just right: Shrimp Kabob Salad, Tasty's Seafood Salad (my personal favorite), Warm Goat Cheese Salad, Feta Cheese and Crispy Bacon Apple Salad, Grilled Chicken Salad, and even a nice Garden Salad. Other beginning menu items are the amazing Marinated Conch Ceviche and the Tuna Tempura. I must briefly elaborate on the Tasty's Seafood Salad. This salad is my favorite salad ever. If you are a lover of seafood and want to sample all of the local seafood in one swoop, you must have this salad! I should add that the "Seafood Salad" is not a mayonnaise-based mixture with random seafood bits in it like some might assume. This is salad of fresh greens topped with a nice assortment of varying fresh seafood (crayfish, conch, shrimp, etc) and vegetables tossed in a vinaigrette. And all of that is just for starters on the dinner menu! I've gone on and on about the seafood because it's my favorite but the other menu items are just as delicious and most definitely worth ordering. Tasty's offers Dale's Grandma's Style Stewed Chicken, Grilled Chicken with Mango Chutney sauce, a Grilled Sirloin topped with Roasted Shallots in a Red Wine sauce. There's also a nice Pork Loin with Pineapple sauce. If you are in the mood for pasta there is variety there as well. You can opt for vegetable, seafood, or chicken with their respective, well-crafted sauces. There are so many yummy options at Tasty's it's not easy to decide. I haven't eaten anything I didn't like there. Even better, there is some leniency in dealing with more selective palates. 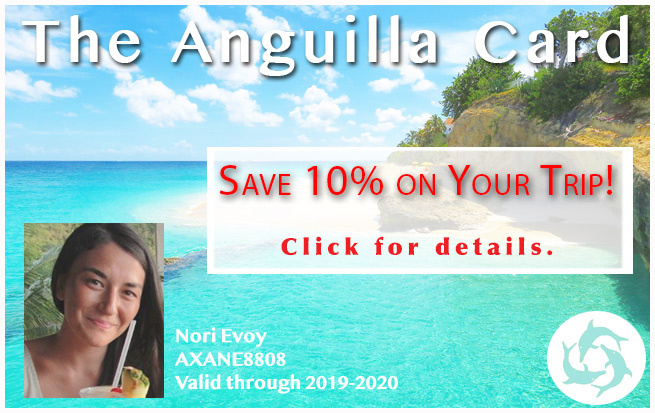 I know this to be true as a visiting family that I met who were having their first Anguilla vacation told me how accommodating Tasty's had been in helping their picky children with their dinner. They were blown away at the lengths that Tasty's went to with a smile on their face. The kids were happy with their meals and the adults could sit back and enjoy and not worry. It really is a wonderful restaurant in so many ways. When you sit at Tasty's, knowing that Dale is back there in the kitchen preparing his divine and artful plates, it surely feels as though all is right in the world. What a tremendous place of comfort, great food, and ambiance... And that's just dinner! Before I move onto Tasty's other experiences, I just want to explain the most important and exceptional part about Tasty's... Its owner, operator, and chef, Dale Carty. If you want to experience the flavor of the island in a more upscale fashion, Dale has perfected this combination. 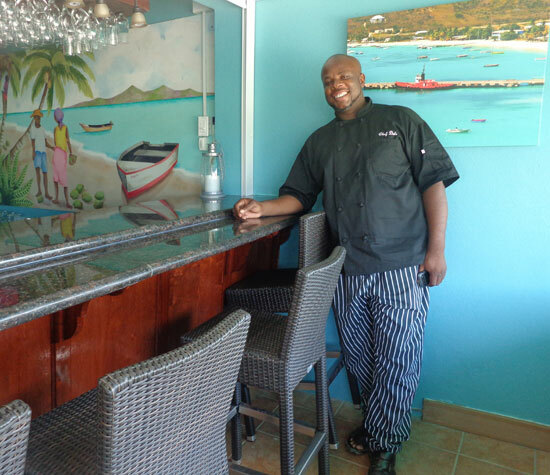 Dale is Anguillian, raised in Anguilla, and at a young age his natural skills were sharpened as he worked under the Master French Chefs Michel and Jo Rostang, and expanded his culinary studies in France. You would never know how sought after Dale is if you have a conversation with him. He is a celebrity chef but he is friendly, humble, and grateful. He loves what he does and his food reflects his passion. If that's not good enough his smile will brighten your day too. Dale opened Tasty's back in 1999. To me, this is testament enough. These days and especially in Anguilla where there are a tremendous number of restaurants in comparison to the population...it can't be an easy feat to conquer the way Dale and Tasty's has. Tasty's Restaurant is a sustaining restaurant with its goal never wavering. With clientele being locals and tourists, long ago Dale reached his goal of appealing to both. I think this is what I love the most about his food, that married ingredients and flavor approach. The reliability of Tasty's is another positive aspect of it, I must say. 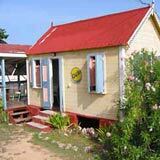 This fantastic Anguilla restaurant is open every single day except Thursday, for breakfast, lunch, and dinner. A few menu items may overlap from lunch to dinner, which is a good thing, but each meal time offers a different menu. The lunch menu is delightfully ideal with its variety yet not overwhelmingly so. 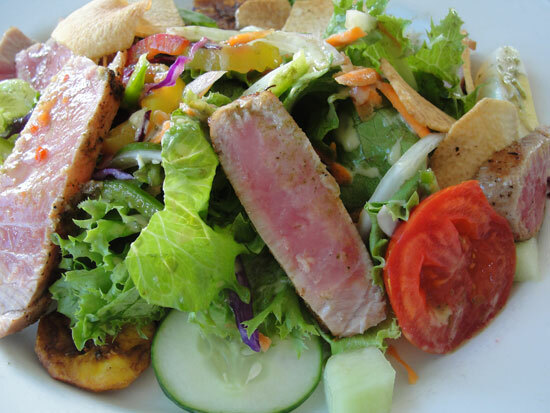 My Grilled Jerk Tuna Salad for lunch at Tasty's, YUM! There are salads, soups, sandwiches, burgers, pasta, wraps, and even curried goat if you are really looking to get local. I tasted my friends' curried goat at lunch one time and it was very good if you like goat. Most often for lunch I will go for my favorite Seafood Salad, which is one of the menu items you can find during both lunch and dinner. It's still a difficult choice at lunch due to the selection of varying flavors. It's hard not to want them all. The Snapper and Papaya Salad, the Grilled Teriyaki Tuna Wrap, and the Marinated Conch Salad are a few of my favorites for lunch. 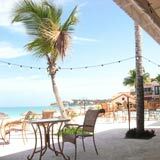 The Best Anguilla Restaurant For Breakfast! 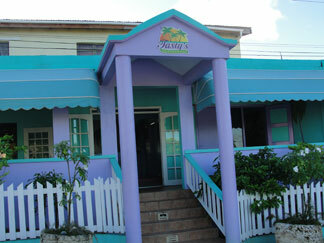 On top of offering the tastiest of lunches and dinners, Tasty's offers the best breakfast in Anguilla. Nori and her family have long-called Tasty's breakfast the best on the island. 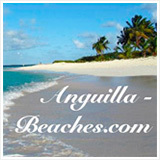 Click here to read about their Tasty Anguilla breakfast. It's true, Dale is one of the hardest working restaurant owners I know. He's open 6 days a week for two meals, plus breakfast on Sundays (and select days in-season), he is a husband, a father, and of course the greatest of chefs. We aren't the only ones who think Tasty's has the ultimate breakfast. 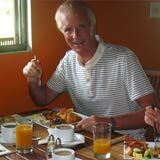 Click here to read Anguilla-Beaches reader Bob Powers' review of Tasty's breakfast. How does he do it? Maybe I just better stick with saying, I'm glad he does it! 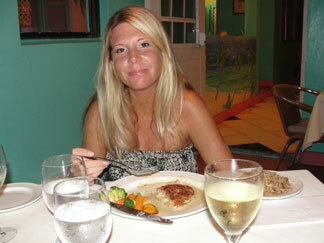 There are not as many options for breakfast in Anguilla as there are for lunch and dinner. The Grand Marnier French Toast with sliced fruit. Need I say more? Breakfast in Anguilla, at Tasty's is quite the deal. The prices are just right. The breakfast entrees are $10 US and lower with exception to the 2 house specials. Of course, you can go all out like I did the morning I met Nori's mom for breakfast at Tasty's. I went for one of the house specials: the Caribbean Sampler Breakfast. It was still under $20 US and came with local bush tea. 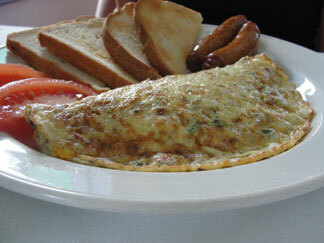 Nori's Mom, Janice had the Vegetarian omelette with mushrooms, onion, cheese, and fresh herbs. It came with toast and fresh tomato slices. Janice ordered some sausages to go along with it. 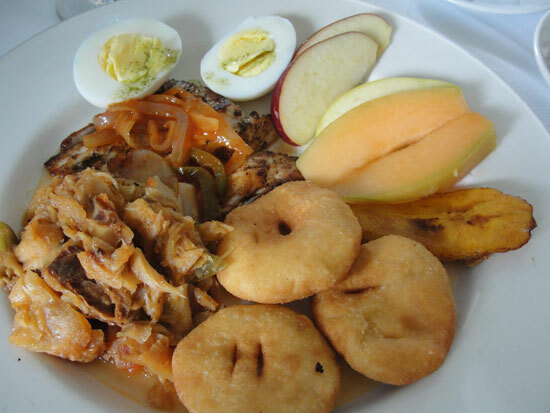 My all-out local Caribbean Sampler breakfast came with filet fish, saltfish, 3 mini johnnycakes, a hard-boiled egg, plantain, and some slices of fresh fruit, including melon and apple. The bush used for the bush tea at Tasty's is basil and really does soothe the soul. I love the smell of basil and to have it piping hot along side a nice plate of Tasty's scrumptious food is a true Anguillian treat. The Caribbean Sampler Breakfast, my favorite! 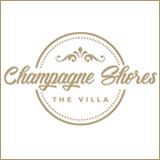 The menu also features a couple omelette options, pancakes served with syrup and fresh fruit, good ole eggs and bacon prepared how you like, and of course, the great Grand Marnier french toast. You can also do a more American-style breakfast (equivalent to my Caribbean Sampler) which has eggs your way, choice of bacon, sausage, or ham, potatoes, fruits, toast with butter and jam, and juice and hot beverage of your choice. Tasty's likes to please! With all of the options and choices there is something really good for everyone. 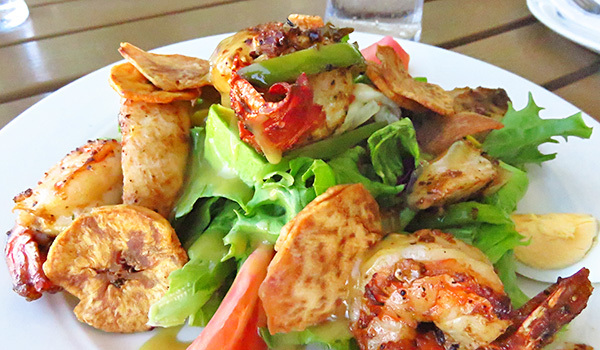 It is no wonder why Tasty's is an Anguillian institution. Dale's goal of offering "tasty", fresh and well-prepared food that appeals to tourists and locals has been achieved and then some. In addition to all of that, Chef Dale Carty has a wonderful bar & lounge area that serves up a delicious tapas menu. The tapas menu includes items that are a chip off of the old block... the old block being Chef Dale and his talent for blending local items and flavors in his entrees. The cocktail menu is also a winner! This cocktail sounds especially good: The "Soda Pop Light & Refreshing" which is Stoli Vanilla, Ginger Ale, and Fresh Lime. 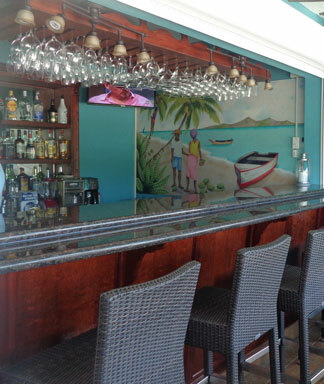 The elegant bar graces the entrance side of the restaurant and is roofed but open-air. It is nice for enjoying the tropical climate and on the tradewind side of the building. Not too big and not too small, it's a lovely spot for starting off your experience at Tasty's or just for stopping in and having a quick tapa and cocktail. The lounge area, on the other hand, rests in nook-style room just off of the new bar area. 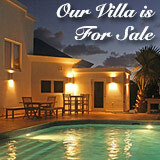 It is more private, perfect for groups. It has comfortable, colorful chairs and a sofa for a pre-dinner cocktail. It is also lined by several bar table tops for two. The lounge & bar area has quickly become quite the social spot for seeing and being seen since it is quite open. 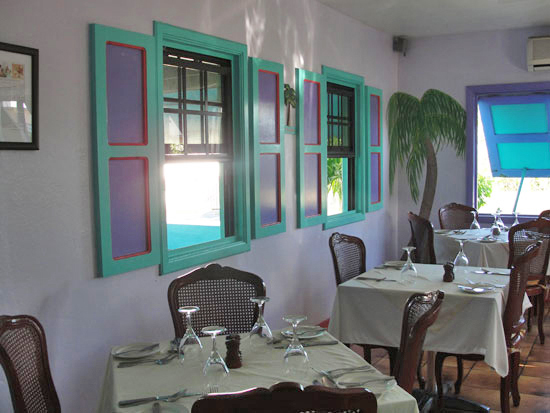 Whether it is your first time in Anguilla or you are a regular to the enchanted isle... Tasty's reamins a must-do while you are in Anguilla. Directions: If you are coming from the east, stay left at the Sandy Ground round-about. Tasty's will be on your right just a short distance after the round-about. If you are coming from the west, continue past the stop light that goes down to Blowing Point. Continue for a couple of minutes on that main road, you will see Tasty's on your right. See the map below for exact location. 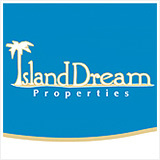 Good for high-end Caribbean cuisine. Hours: Lunch, Tapas, Dinner daily (closed Thursday). Breakfast on Sunday.